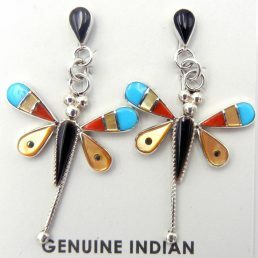 A one-of-a-kind set of Native American turquoise stud earrings is waiting for you at Palms Trading Company. 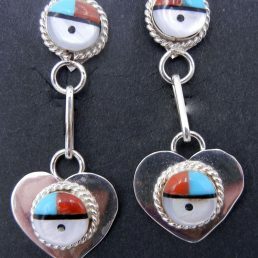 We have an amazing selection of earrings handcrafted by artists of the Hopi, , Zuni, and Santo Domingo Pueblos and the Navajo Nation, most of whom call New Mexico home. 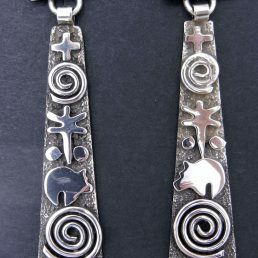 Stop into our Albuquerque location or shop conveniently online to view the largest combined inventory of Native American Indian jewelry, art, and collectibles on the planet. Frame your face with the sparkling gemstones in our turquoise stud earrings. 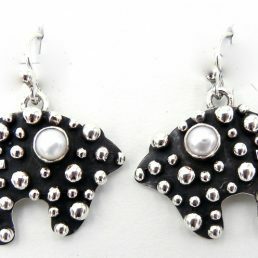 These gorgeous works of art are perfect for any style or occasion. 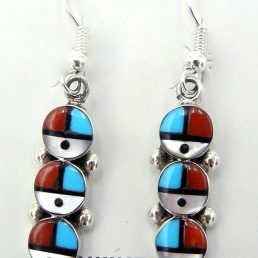 Choose the small turquoise beads of Santo Domingo heishi for a subtle touch of Southwest style. 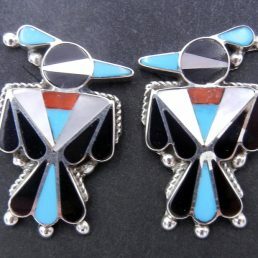 Flaunt the stunning pure sky-blue Sleeping Beauty stones in the needlepoint design of the Zuni artists. 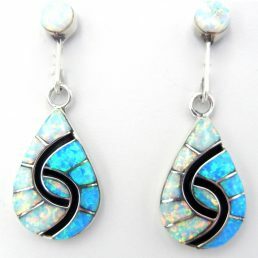 Make a bold statement with the Navajo-characteristic chunky turquoise stones set in sterling silver bezels. 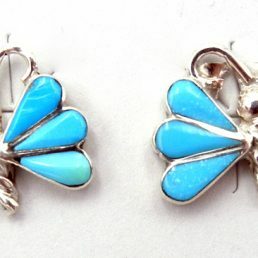 No matter your wardrobe, these turquoise earrings will perfectly enhance your image. Each detailed design features intricate craftsmanship techniques like multi-stone inlay, stone mosaic arrangements and silver overlay. We’re proud to showcase these vibrant creations from the many talented artists of our region. One of our personal shoppers would be happy to assist you if you’d like more information on the specific pieces currently available in our collection. 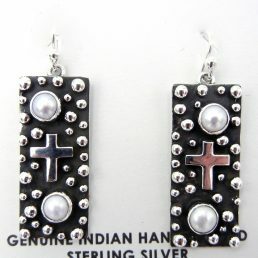 Purchased directly from the artists, our selection of handmade jewelry gracefully embodies the spirit of the Southwest. These unique symbols of our history and culture have been cherished around the world for decades. 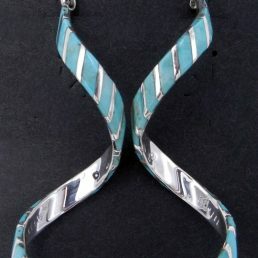 Find the piece that fits your style and complement your beautiful pair of turquoise stud earrings with matching necklaces, bracelets and rings only available at Palms Trading Company.